VoIP firm Skype grabs 12 percent share of international calling minutes, making it the largest provider of long distance calling in the world. Citing data from research firm TeleGeography, Skype says that, whilst international telephone traffic growth has slowed to “only” 8 percent in the past two years (growing from 376 billion minutes in 2008 to an estimated 406 billion minutes in 2009), its own VoIP growth has accelerated. Skype’s on-net international traffic (between two Skype users) grew 51 percent in 2008, and is projected to grow 63 percent in 2009, to 54 billion minutes. The proliferation of alternatives to telephone calls including Skype for mobile devices, and Google’s gradual entry into the voice market will present ever greater challenges to international carriers. Indeed, Skype has enjoyed millions of downloads of its ‘Skype for iPhone’ software on Apple’s App Store, whilst Skype’s VoIP client has previously been embedded on smartphones from Nokia as well as 3’s Skypephone. Not all of Skype's traffic comes at the expense of phone operators though. 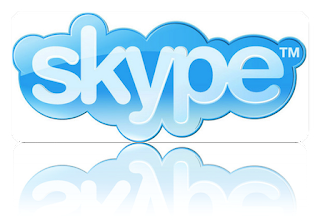 Skype's paid-for SkypeOut service, which allows users to make calls to standard telephones, generated about 12 billion minutes of traffic in 2009, and Skype relies on other wholesale carriers to connect this traffic to the telephone network. In addition, Skype's growth is due to a sharp increase in the number of its users; the service has over 500 million registered users. Nobody could had imagined 15 years ago an online communication provider like Skype would take pole position today. Easily I to but I think the post should secure more info then it has.